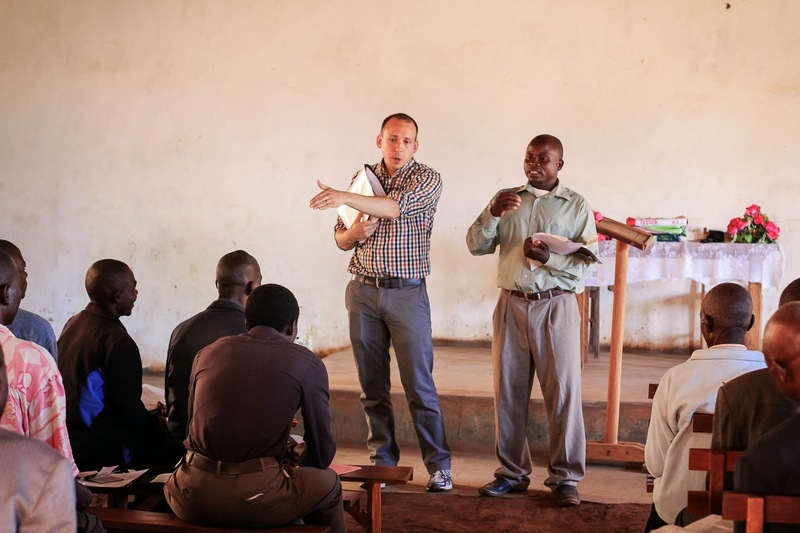 Today was a quiet day, with Josh teaching at the church from 9am to 12pm, and again from 1pm to 1:30pm. 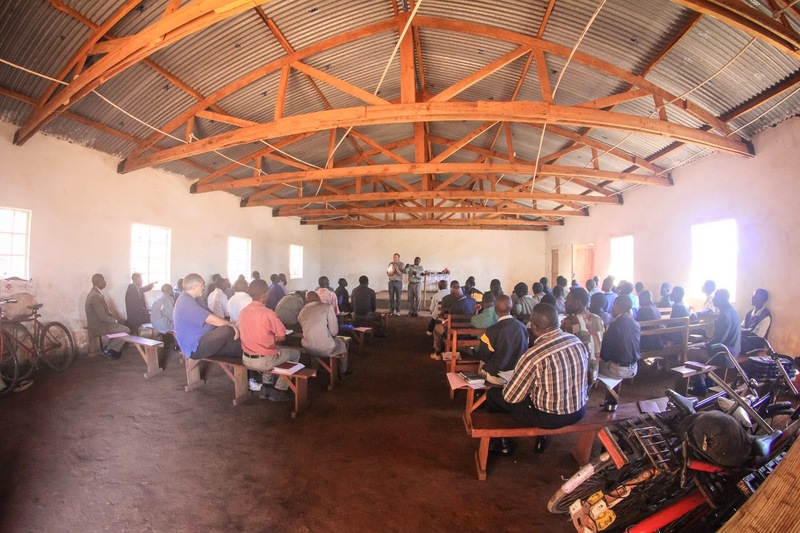 There are 72 men here to learn this week, representing about 60 churches around the region. They are sleeping at the church on straw mats, and the whole back of the church is filled with the bicycles they rode to get here. The fish eye camera lens makes the church looks much bigger than it actually is. The initial response from the lead pastors this morning was very positive. Josh is going through the whole story of the Bible and teaching points of doctrines as he comes to them in the big picture of the Bible. Even just talking about creation this morning, the lead pastors said that the men’s minds were being blown by things they’d never thought of before. We rested this afternoon, and just took it easy. I thought I'd share a picture of our room at Eric & Stephanie's house. I never cease to be amazed by Stephanie's creativity and ingenuity in working with the things she has to work with. 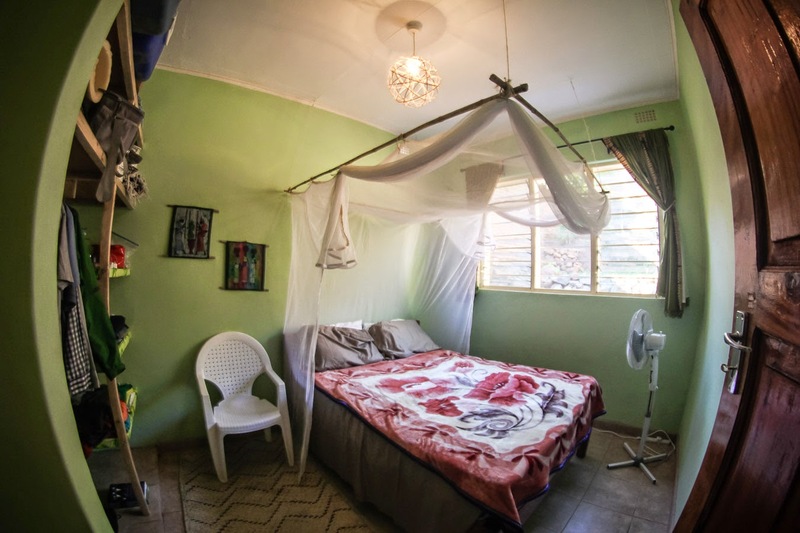 She designed the whole house, made the mosquito canopy and light fixture, and did who knows what else. I also wanted to share these next two pictures. 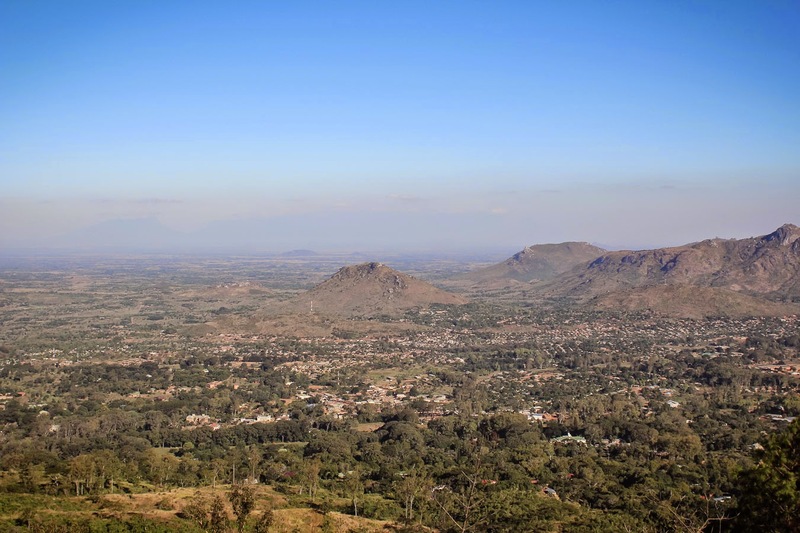 The first one is the view from the top of the Zomba plateau, where we were yesterday. Do you see that the hill/mountain in the middle of the picture? Now do you see the smaller hill in front of that one with the white cell phone tower on top? Eric & Stephanie's house is at the foot of that hill, just down from the tower. Also, do you see the big mountain that goes off the right side of the picture? We're CLIMBING that mountain next Sunday to go to a church that Eric planted up there. Not driving. CLIMBING. The next picture is the view of the Zomba plateau from Eric & Stephanie's house. It's quite the sight. I took this one with the panorama picture function on my phone. It's good because it gets the whole plateau in the picture, but it makes it look so much smaller than it really is. What you can't tell very well from the picture is how well you can see the whole city of Zomba between their house and the plateau. What you also can't tell from a picture is the ambient noise coming from the city. Not normal city noise, though. You can hear kids playing, people talking, radios playing music. It's beautiful and incredible and I love it.